By the time of the Regency, the family of Chichester had been deprived of the majority of its vast fortune by one generation of spendthrifts. But it convulsed over the dignity it valued most, its English title–the barony of Fisherwick. Although the house that bore this illustrious name and symbol of an Irish family’s entry into the highest society had long since been demolished, the baronial title Fisherwick remained the jewel in the crown, which could not be bought, sold or torn down. Lord Shaftesbury was the sixth earl of that name (seventh, according to his contemporaries). He had lately come into the title upon the death of his older brother and was one of the wealthiest men in England, with a daughter whose dowry could redeem many a debt. While still just the Honorable Cropley-Ashley Cooper, his lordship had been a clerk in His Majesty’s ordinance office. It is not too fanciful to imagine he had developed a healthy dose of skepticism during the course of administering a government function ripe with the potential for corruption. When Lord Belfast, the heir of the Marquis of Donegall came courting, Shaftesbury had already been primed to sniff out any irregularity and not just because there were rumors about his mama. It was generally known that Belfast’s mother, the Marchioness of Donegal, had been born a “natural” child. Even the circumstances of her marriage, a parson’s mousetrap baited by a scheming father, were overlooked in view of the high-flown family into which she had been brought in. Only after the birth of seven boys did talk surface that she might have been a minor at the time of her marriage. And according to the Marriage Act of 1753, with the aim of reducing clandestine marriages, a “natural” child had to have the consent of the Lord Chancellor to wed. Neither the couple who adopted her in Wales nor her putative father had standing to give consent for her marriage. All at once the family fortunes seemed at a standstill. Everywhere Lord Belfast became known as simply Mr. Chichester, for now his cousins, the sons of the Marquis’ deceased brother, Lord Spencer Stanley, were next in line to inherit the marquisate and its venerable barony of Fisherwick. It wasn’t long afterwards that Belfast cast his eye on the daughter of the Earl of Glengall. According to Regency diarist Henry Edward Fox, Lady Glengall was a “little she-attorney,” determined to get her daughter off her hands even if she had to craft a new title for the Marquis of Donegal’s disinherited scion. Perhaps this was the reason that the indolent Lord Donegal was moved to Act. What followed was a fascinating, if somewhat lengthy and confusing journey into Regency-era litigation. Far from disputing the lack of the Lord Chancellor’s order, Lady Donegal insisted she was not a minor when her father bamboozled Lord Donegal. Indeed, she scrambled together several aged witnesses and fought jurisdictional barriers to get evidence before the court as to her true birthdate. The conclusion was a Parliamentary order to regularize the Donegal union that had been made illegitimate by the old Marriage Act. Moral of the story: some families are too high up on the social ladder to fail–er, fall. Postscript: What financial and legal ruin the Chichesters may have survived, their physical evidence has been erased. During the Victorian period, the mausoleum containing the bodies of the family, built near the vanished Fisherwick Hall, had become infested with rabbits and was destroyed. 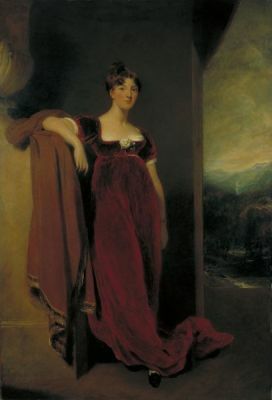 This entry was posted in Regency, Uncategorized and tagged 2nd Marquis Donegal, 3rd Marquis of Donegal, Anna May, Countess of Glengall, Cropley-Ashley Cooper, Earl of Shaftesbury, Emilia, First Earl Glengall, Fisherwick Hall, George Chichester, George Hamilton, Harriet, Henry Edward Fox, Lady Charleville, Lady Morgan, Lord Belfast, Lord Spencer Stanley Chichester, Marchioness of Donegal, Richard Butler by Angelyn. Bookmark the permalink. I loved this! The era’s aristocracy is endlessly fascinating to me. I hadn’t heard that Lord Belfast was now addressed as Mr. Chichester. . Legally , he was still Lord Belfast. HIs parents crafted a legal trial that lasted more than two years and ended only when the marriage Act( The new marriage ACT of 1822) was passed. That act said that any annulment of the marriage of a minor by license without proper permission, had to be challenged in the first year or else it was valid. The act had several faults which were corrected in the act of 1823. It accomplished its purpose of legitimatizing the seven sons of Lord Donegal. The anonymous letter was thought to have been sent by that Chichester cousin who was acting so angelically. Lady Donegal included him in the case as the one who would benefit if her marriage was declared invalid. he protested and helped delay the court coming to a decision for another term. Then he objected to Lady Donegal claiming residence in London, where her husband was which delayed it a bit more. The case was carried over from term to term with different questions . The seven sons were saved by the passage of the act before a decision was made. All others in their situation were also made safe. It wasn’t a private act for that family. Any other marriage of minors without permission was made valid unless it had already been decided by some court.. Though the letter was sent before the marriage of Lord Belfast, it was probably instigated more by the threat of Donegal to bar the entail on some property to pay the debts and for Belfast’s marriage settlements. It was the threat of the loss of property to the marquisate that instigated the allegation. There is a book Living LIke A Lord that gives a sort of biography of Lord Donegal. Later the Marquess and his son leased land in Belfast to the city for 500 years– because they couldn’t sell it. The court cases are interesting. If you have more references about this , I’d love to have them. Nancy, did you know this off the top of your head, or have you done a blog on him as well? If she has, I’d love to read it! The book you cited is the best overall discussion on the life of the 2nd marquess (although my copy doesn’t contain the citations I was hoping to have). Clearly, however, most of what happened to the family is arguably self-inflicted (see the previous post on this blog for more on how this came about). The timing of objections to the validity of the Donegal marriage intrigued me the most. Shaftesbury was no fool–he had to be careful turning down a marriage offer from a powerful family and the rumors of Belfast’s illegitimacy would have been just the thing to squirm his way out of an engagement that had become worrisome. The Donegals were desperate for money which would have had to come from an influx of cash via union with an heiress. Shaftesbury was spooked and that set a precedent for everyone else (the marquis went through a similar cycle when he was on the hunt for an heiress). 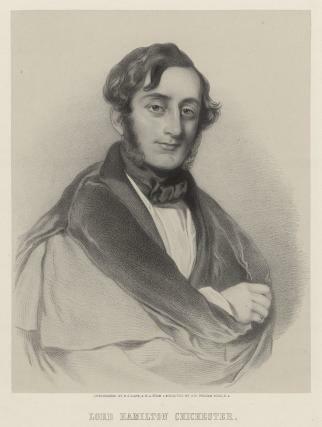 PS In 1831, the cousin was created Lord Templemore. As a consolation prize? anything is possible! Good to hear from you, Tory! 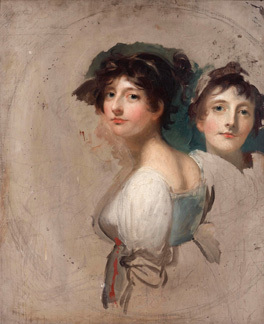 Fascinating Regency story by Angelyn! Lord Donegal went on to marry the Earl of Glengall’s daughter as he’d hoped. Of their three children (2 sons, 1 daughter), only the daughter lived beyond her father and inherited the bulk of his property. And who did she marry? The 8th Earl of Shaftesbury. yes!! I wanted to add that as well but was afraid the subject had become tiresome. What an outrage! destroying the rabbits home…. The twists and turns of power has no end.